It’s required turn on the WordPress permalinks at: Settings > Permalinks. 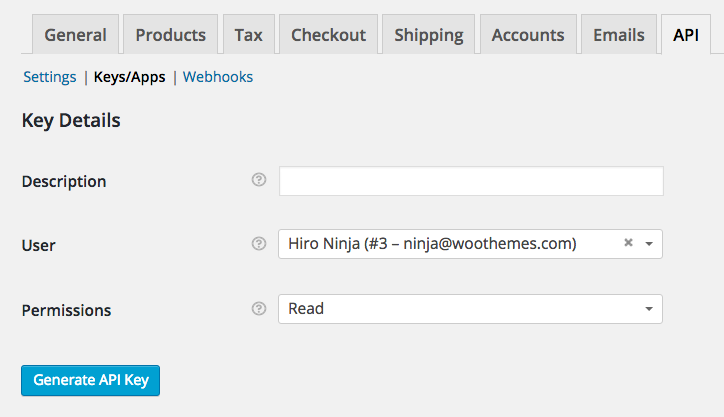 To enable the REST API within WooCommerce, go to WooCommerce > Settings > API and tick the Enable REST API checkbox. 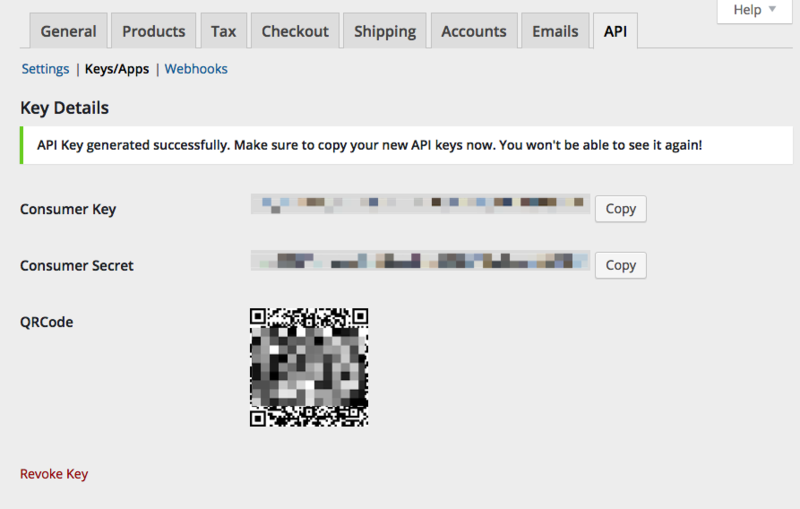 The WooCommerce REST API works on a key system to control access. These keys are linked to WordPress users on your website. To create or manage keys for a specific WordPress user: 1/ Go to: WooCommerce > Settings > API > Keys/Apps. 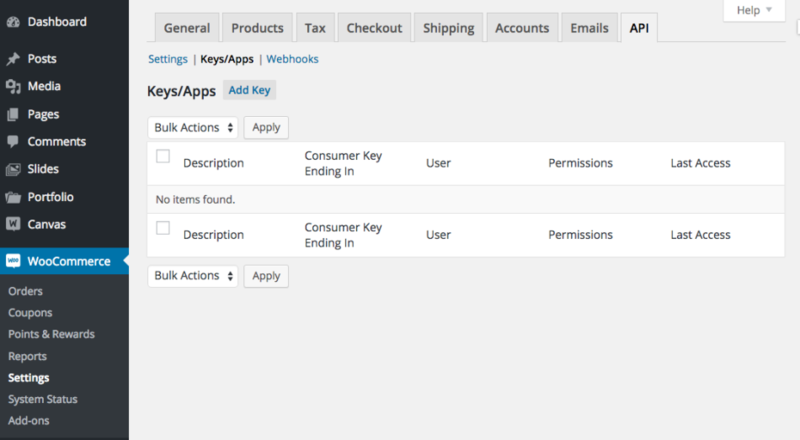 3/ Select the User you would like to generate a key for in the User field and add a Description. 4/ Choose the level of access for this API key, which can be Read access, Write access or Read/Write access. 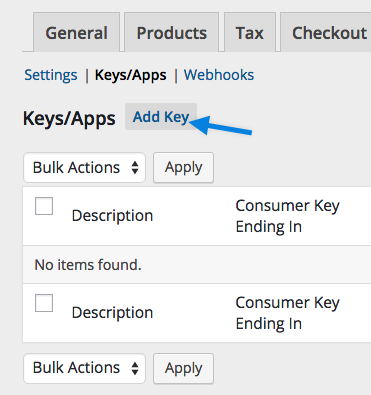 5/ Select the Generate API Key button, and WooCommerce will generate API keys for that user.